Liquid Gold AKA breastmilk is so amazing to me because the possibilities are endless! 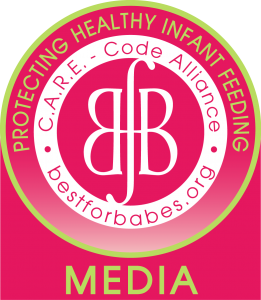 In this blog I will list some of the fun things you can do with your breastmilk! Feel free to share some of your fun ideas too! What better way to get all the healing properties breastmilk offers then to bathe in it? Great recipe found here! We don’t give sugar, so breastmilk Popcycles it is. Kids love them. This may seem weird, but I clean/boil/sanitize my empty chapstik containers and fill them with BM, freeze them & whip them out to rub on my kids ouchies to help heal them. So moms are fortunate enough to make an oversupply of breastmilk. Why not use that extra milk and donate to babies in need? It’s such a huge deal and there is ALWAYS gonna be a need for human milk. 8.) Medicinal purposes- There are so many ways you can use breastmilk to cure whatever you have going on! From the common cold to baby Acne! Check out a lot of the different uses below! Okay haha, this is more of a joke , rather than an actual purpose, but I have heard plenty of moms talk about how they squirt their friends or husband from across the room. Breast milk jewelry is jewelry made of a mother’s breast milk as a keepsake often worn by the mother in various jewelry types such as rings, lockets, pendants and popular European style beads. Does baby have a rash or sores? What about cradle cap? There is no safer, natural way to help soothe and clean baby at the same time then a breastmilk bath! Just pour a few ounces of breastmilk in fresh bath water! This mama had breastmilk that was about to expire that she wouldn’t have been able to use up in time so she made super smoothies! Blueberries, Bananas, yogurt, and two ounces of the good stuff!